General Conference can be very challenging and isolating for Mormons on the fringe, Mormons in transition, or Mormons with questions. If you have anxiety, uneasiness, or a general distaste for Conference, you are not alone. In order to help you get through the weekend intact, we’ve compiled a few tips to surviving general conference. Prayer: Prayer is direct communication between human beings and their loving Father in Heaven. It’s the channel by which we receive personal revelation and recognize truth. Prayer is an essential tool. It is our direct line with the divine. It is something that cannot be taken away from us. Pray always, during conference weekend. Pray to feel the Spirit. Pray to feel God’s love for you. Pray to feel love for others in our faith who may not love or understand you. Pray to have answers to your hardest questions. No matter what happens this weekend, no matter what anyone says, your prayers are powerful and they are heard. No middle-man is required in this exchange. Prayer will help you fortify your soul for the unknown difficulties that lie ahead. Preparation: It’s a very Mormon thing, I know. But preparing for Conference can be helpful. Meditate, find quiet spaces, listen to hymns, study some of your favorite chapters of scripture and read a couple of your favorite conference talks from sessions past. Allow yourself time and space to ponder and reflect upon the words of the Lord and the value of modern revelation. Take a spiritual inventory and make note of what your specific concerns are at this time. It probably sounds too familiar, but it really helps to frame the message you’re receiving in a very personal way so that you may sift through the pieces that are most beneficial and most relevant to you, specifically. Safe Spaces: The media by which we can access Conference addresses has expanded vastly in recent years. This ultimately means that we, as viewers, have near total control of how and where we hear these talks. Use this to your advantage and create the best possible environment for General Conference viewing. Watch with people who won’t mind (or notice) when you leave the room during an uncomfortable talk. If that doesn’t seem possible, sit near an exit or on the aisle so you can easily remove yourself from harmful situations without disturbing those around you. If you can turn off the television or turn down the volume for a few minutes, even better. Don’t force yourself to sit through something that hurts. Leave, let it pass, and try again. Charge your phone: Getting through conference is a lot easier when you realize that there are people watching across the globe who are just as unimpressed, bored, or hurt as you. So follow some excellent twitter accounts (@youngldsfems is a good place to start), keep your favorite blogs pulled up, and have a couple people to text when the situations get stressful. It is so unbelievably healing to hear someone else say “yes, that bothered me too.” On the other hand, a talk that I struggle to get through may be appreciated by someone else, and seeing that perspective can help me get out of my own head for a second and appreciate that talk in a different light. Connecting with other people and talking/typing out your feelings can be really helpful as you process everything. Unplug when necessary: It can be easy to overdo it with the Social Media. As Erin Moore says, “places like Facebook can be overwhelming both during and right after conference. I have a hard enough time trying to sort through my own feelings without being overwhelmed by the tidal wave from others. And the conflict gets me: I’ll have my TBM friends gushing with praise and my liberal friends seething with rage.” It can be a lot to take in. Sometimes you need your own space. First and foremost, care for yourself. Do you need a friend or do you need some quiet time? Both are completely valid ways of handling the tidal wave of words and ideas that will be directed at you this weekend. Snacks and Naps: Snacks make even the worst situations less miserable. Buy your favorite foods or try out those new Pinterest recipes you’ve been eyeballing for months. Even if you can’t enjoy everything about General Conference, at least enjoy the food! Also, naps. I’ve been known to schedule my naps around the speakers I am least looking forward to hearing. Some of my best naps are conference weekend naps, I swear. There’s something about those soft, but deep voices with that slight Utah accent that just lull me right to sleep. Plus, a good 20 minute power nap might be exactly what you need to help you make it until President Uchtdorf makes his triumphant appearance. Save some for later: General Conference is an information overload. Not only that, but it can get so monotonous and slow that your brain absolutely refuses to take in any information shared through this channel. The slow cadence, the tone of voice, the way it’s filmed can often make what you hear seem a lot worse than what you would read. So, save some for print. Reading the talks in the Ensign or online after conference enables you to filter out the annoying aesthetic things and get closer to the truth of the meeting. Have an escape: Plan to do something after conference ends. There’s a world outside of the Mormon bubble, and sometimes it isn’t as stressful or frightening as the world in which you’ve just spent 2-10 hours. Go see a movie. Walk in the park. Listen to your favorite band without the word “Tabernacle” in their name. Make dinner plans with non-Mormon friends. Get out of our peculiar world for long enough to think clearly and prepare yourself to re-enter the next morning or next-week or whenever you’re ready. Honestly acknowledge what bothers you: Pretending that everything is fine can be damaging. Sometimes, we sit through meetings or talks and when something feels the least bit off, we can blame ourselves. Instead, take a second and acknowledge that something feels wrong. You don’t like the comment that was just made, you don’t appreciate the subject matter of the talk, there aren’t enough women speaking, they keep referencing the Proclaimation… Don’t hide your feelings of distress. When we take a moment to realize what bothers us and pause to think about why those things matter, it makes our disagreement or dissent less frightening. And be forgiving of yourself when you resort back to old patterns. It takes a long time to unlearn those Mormony behaviors, even when we notice how uncomfortable they make us. The mainstream Mormon attitude of wringing every last bit out of every talk that we can gets exhausting. Take the truth that will help you grow the most. This weekend can be rough, but it doesn’t have to be damaging. 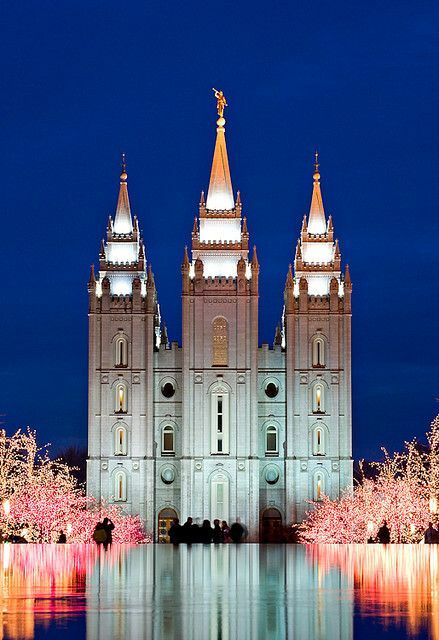 By taking time and finding safe spaces, General Conference weekend can be peaceful and even enlightening. Even so, we wish you luck, friends. How do you make it through General Conference? Thank you for that post. I listen from the television or the radio when I choose to listen. It allows me to not be bothered by close proximity to others by avoiding close proximity to others and being able to leave the room to deal with my child and no comments following after me when I leave. Greater flexibility thanks to media allows for people such as myself to enjoy that and even turn it off if I feel the need to. Wow-I wasn’t raised in a Mormon Bubble so I think this gives me a different perspective than perhaps some of your other followers. I am so happy that God speaks to us today through prophets just as in days of old. I look forward to General Conference with great anticipation instead of the terrifying and dreadful outlook that has been shared on this blog. If the prophet or apostles speak of something that makes me uncomfortable then I must understand I will be just as uncomfortable standing before The Lord unless I allow true change in my heart and humble myself to hear the Word of God. We learn in the scriptures that, “God chastens those who He loves.” I am thankful for correction that leads me to that place where I long to be, for without it, I cannot become what God wants me to be and ultimately dwell with Him. So to answer the question, “how do you make it through General Conference?” I don’t see it as making it through but rather as a joyful opportunity to hear God speak to me through His chosen mouthpiece. By the way, the Israelites often did not like what the prophets taught them in the Old Testament and if you know your Bible, that never proved fruitful for the Israelites. I know that as I embrace the teachings of President Thomas S. Monson, I will find true happiness now and in the life beyond. Praying for your journey, peace and happiness. I would love to be able to take that viewpoint, but as a queer mormon i am less often made uncomfortable by conference as opposed to outrightly hurt and confused by it. I wonder how they can say things like this about LGBT+ people, how they can condone certain behaviors against women. I question why God would tell them to say these things. I wonder if they’ve ever met anyone in that situation and if that would change their viewpoints. I know it probably wouldn’t, and that hurts. I’d rather “get through” a conference than be forced to leave altogether because I can’t stand the hurt, and YMF and other social platforms to help me through it. I’m grateful for the opportunity for evolving revelation to be given to the church, but every conference i have to brace myself for my hopes to be dashed again and to feel completely alienated. If being uncomfortable in conference means you’d be uncomfortable in front of god, then I and many others receive what feels like a reminder every single conference that we will feel hated and ostracized and unwanted in front of god because that’s how we feel during conference, and it helps to have social media to remind everyone that that isn’t the case, and to help us glean positive messages from the event in spite of it.